As a stockman on Alice Downs station, Gordon Barney would often carry a saddlebag with him that he filled with ochres he had sourced from riding through his country. 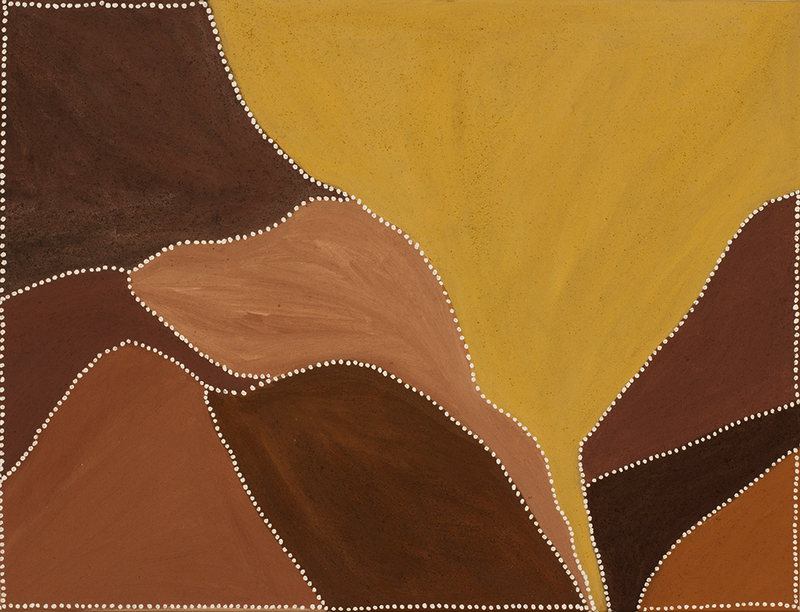 Although he did not start painting until 1998, encouraged by his wife, fellow artist Shirley Purdie, it is clear that Gordon always had a tender connection with his country and the natural ochres that are found there. Gordon paints his country Birnoowoo, around Alice Downs station, where he worked as a stockman and where his family would often camp. The country taken in by Alice Downs was Gordon’s home until equal wages legislation in the late 1970s catalyzed a second forced displacement of Gija people. In this period Gordon and his extended family were moved off the pastoral stations to live on the fringes of the towns of Wyndham and Halls Creek and soon after, to the newly established community of Warmun. 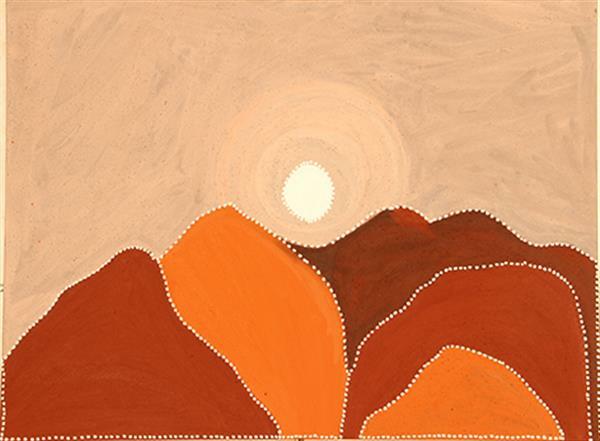 Gordon’s paintings are distinct in their use of line and empty space, to depict the hills in his country. This is most evident in his work Goorndalngany that becomes a beautiful ode to his lost brother, who disappeared in this dangerous country after herding goats. Other places that Gordon paints include Magoombarrany, Boorlnginy, Yarangga (Katie’s Yard), Laboony and Joorroomi.